A charming and amiable old Jewish man living in the countryside with his wife, where he spends most of the time doing rural doing rural errands and reflecting about his past deeds. He does not call himself a Zionist, and has a taste for meditation and Buddhism. 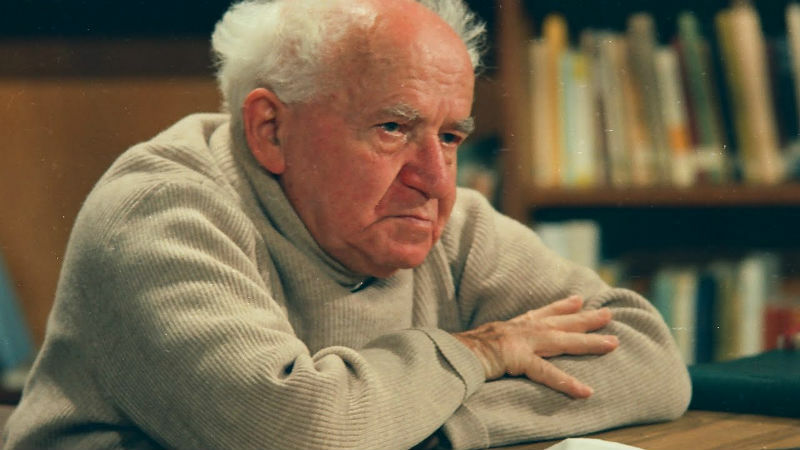 David Ben-Gurion’s serene demeanour at old age is perhaps comparable to the so-called “poorest president in the world” Pepe Mujica (the head-of-state of Uruguay until last year), and he is equally charismatic and likable. The first Prime Minister of Israel (between 1948-65, with a two-year hiatus in 1954-55), often credited as primary founder of the State of Israel, chose to retire from politics with his wife in a Kibbutz. Then on April 1st 1968 he gave a six-hour interview mostly in English with plenty of hindsight at his country’s short and controversial history. The audio of the footage was lost for nearly 50 years, and then it was finally put together earlier this year for insightful documentary. Ben-Gurion takes a critical look at his past and consistently emphasises that peace would have been more valuable than territorial expansion. His rhetoric is surprisingly magnanimous if compared to the more recent leaders of Israel. Did the leader mellow down after leaving politics and moving to a quiet and idyllic setting? After all, he was a major player in the Suez Crisis of 1957, when Israel invaded Egypt. According to Ben-Gurion, however, they were just trying to vouch for “freedom of Jewish immigration”, and not attempting to annex the region. During the lengthy interview, he also reminds the reporter of the reconciliation with the Germans and sympathy for the German Chancellor Konrad Adenauer, who he said “was not a Nazi”. He insisted that Germans couldn’t be blamed for the mistakes made by their parents, thereby shunning collective blame – which explains why he accepted reparation money. He seems like a plausible, balanced and moderate man. His attitude towards Palestine is little more ambiguous. While supporting peace, he suddenly interjects: “this is our country, and there is no Palestinian state”. He also talks of “free and democratic Jewish commonwealth with Palestine”, but still favours armed action were necessary. He describes himself as “a Jew who wants to live in a world in peace and without exploitation”, and he even refuses an eulogy and gun-firing at his funeral. Yet this peace statement is strangely incompatible with the armed efforts that he occasionally seemed to support. This paradox tacitly prevails throughout the documentary, and it perhaps epitomises Ben-Gurion’s life. 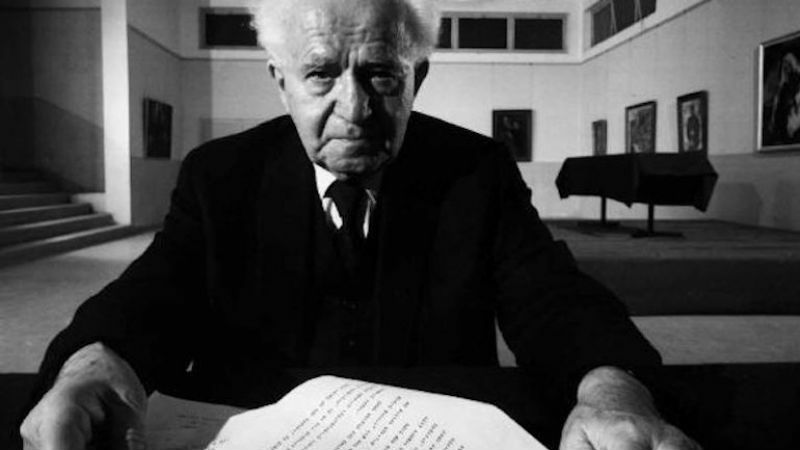 Ben-Gurion: Epilogue was acquired by Go2Films following a screening at the Jerusalem Film Festival in 2016, when this piece was originally written. The film is showing in the UK Jewish Film Festival in November, 2017.